Beryl Burton passed away in 1996. She was cycling’s champion of champions, and her particular forte was time trialling. Her first Championship wins came in 1958 and her last in 1986. During that period she won a total of 72 RTTC Championships with four at 10 miles, 26 at 25 miles, 24 at 50 miles and 18 at 100 miles. Her total would surely have been closer to a 100 titles had the 10 mile Championship been inaugurated before the start of her reign rather than in 1978, closer to the end of it. 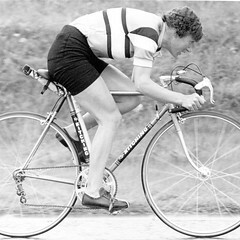 With her tremendous ability over such a wide range of distances it was natural that she should win the Women’s BBAR, and she did so for an incredible 25 consecutive years from 1959 to 1983. It is therefore natural, with such a supreme record in our Championships, that the RTTC, in conjunction with Beryl’s long time club Morley CC, wishes to recognise and perpetuate her competitive spirit and achievements. The Beryl Burton Trophy is a Morley CC trophy which Beryl won on 20 occasions and has been kindly donated by the club for a special Champion of Champions competition for women of all ages. The conditions for winning the trophy reflect the commitment and loyalty to our Championships over all those years. It will require a similar loyalty to win this award and we are sure that the winner each year will be very proud of her own achievement in this prestigious competition. The Competition is open to women of all ages. The competition comprises of four qualifying events each year, the Women’s 10, 25, 50 mile and Senior circuit championships To be eligible for this competition a minimum of three out of the four events must be completed. Points will be awarded for placing in each event with one point for first place, two for second, three for third and so on. All competitors in each event will receive points. The rider’s best three performances will count, the rider with the lowest total from her three events being declared the winner. In the event of a tie the riders’ fourth highest placing will be used to determine the winner. 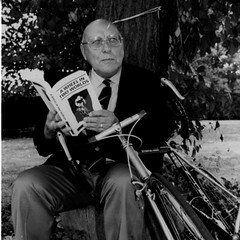 Ron Kitching died in December, 2001 provided the trigger to develop an idea that National Committee had previously discussed to introduce a Trophy for Men identical to the Women’s Beryl Burton Trophy. An approach was made to the trustees of Ron’s estate to name this award in his honour. We were delighted when they agreed to our proposal.Ron was a top class rider in his day, winning many events particularly at the longer distances. He became a cycle trader of great vision travelling the world to find quality equipment for import. What is less well known is the tremendous amount of support and sponsorship that he gave to riders, clubs and National Cycling organisations. It will require loyalty and dedication to win this award and we are sure that the winner each year will be very proud of his achievement in this prestigious competition. The Competition is open to men of all ages. The competition comprises of four qualifying events each year, the Men’s 10, 25, 50 mile and Senior circuit championships. To be eligible for this competition a minimum of three out of the four events must be completed. Points will be awarded for placing in each event with one point for first place, two for second, three for third and so on. All competitors in each event will receive points. The rider’s best three performances will count, the rider with the lowest total from his three events being declared the winner. In the event of a tie the riders’ fourth highest placing will be used to determine the winner. Chris Boardman Trophy. 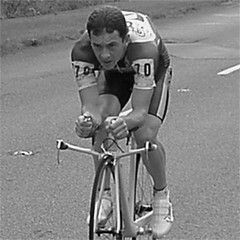 With the Ron Kitching being introduced in 2003 as the Men’s Champion of Champions competition to run alongside the already established Beryl Burton Trophy, it was only going to be a matter of time before National Committee decided to introduce its junior counterpart. An approach was made to Chris who was more than willing for his name to be put to a trophy. As a World, Olympic and multiple National Champion we are sure that this is a trophy that the junior competitors will want to win and possibly one day to go on and strive to equal his achievements. The Competition is open to all Junior men. The competition comprises of five qualifying events each year, the Junior 10, Junior 25, Junior circuit, Closed Circuit and Hill Climb championships. To be eligible for this competition a minimum of three out of the five events must be completed. Points will be awarded for placing in each event with one point for first place, two for second, three for third and so on. All competitors in each event will receive points. The rider’s best three performances will count, the rider with the lowest total from his three events being declared the winner. In the event of a tie the riders’ fourth highest placing will be used to determine the winner. Junior Girls Champion of Champions A competition for Junior Women was introduced in 2014. The competition comprises of five qualifying events each year, the Junior 10, Junior 25, Junior circuit and Hill Climb championships. To be eligible for this competition a minimum of three out of the four events must be completed. Points will be awarded for placing in each event with one point for first place, two for second, three for third and so on. All competitors in each event will receive points. The rider’s best three performances will count, the rider with the lowest total from his three events being declared the winner. In the event of a tie the riders’ fourth highest placing will be used to determine the winner.